In the past 5 years we’ve seen an increase in electric car manufacturing. Many international developers strongly believe that the future of the auto industry will depend on eco-friendly vehicles. Going green is no longer a luxury, and believe it or not, recent models of electric cars are no longer over-priced. In fact, some have pretty amazing built-ins and in-car technicals to surpass the efficiency and performance of conventional vehicles that run on gas. This year, the industry has spiked in eco-friendly cars; starting from the simplest all the way to the most groundbreaking. Here’s a quick guide with 5 “green” cars that will most like win you over. Toyota Prius, it’s time for you to move over! IONIQ is here to take your spot. Even though it’s too early to tell whether or not Hyundai’s IONIQ model will be better than the Prius, rumor has it that it will be a fair competitor. The hybrid auto market is on the roll, and as new technologies emerge, it’s tough for manufacturers to stay on top. 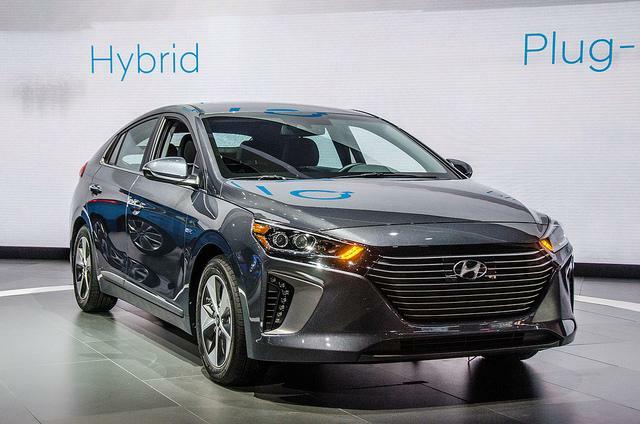 Hyundai has always been an ambitious car maker, and even though we can’t know for sure how advanced and powerful IONIQ will be, we can state that the plug-in hybrid will create some sort of hype. Rumor has it that the new model will deliver an incredible driving experience; apparently, some of the built-in features will provide a driving experience no other eco vehicle is currently offering. Nissan’s Leaf model is the most popular type of electric car in the world. Nearly 200,000 models have been sold since the release. The manufacturers are still making upgrades, and this year’s variant looks and feels better than ever. The latest Leaf comes with a 30 kWh battery, which is enough to drive for 155 miles. Why are casual driver so in love with this electric vehicle? First, because it is affordable – $18,000 on average – on average, and second because it looks nice both on the inside and on the outside. Nissan Leaf is comfortable, relaxing to drive and quiet. It is an electric pioneer that drivers are quite fond of! There’s something about Tesla that keeps us interested. The company’s recent Model X is quite the beauty. It can easily get to 60 mph in roughly 3.2 seconds, not to mention that it looks pretty awesome too. Some say that Tesla’s Model X will be the best electric car of the year. It features enough room to fit up to 7 individuals, and it completely redefined in-car design. 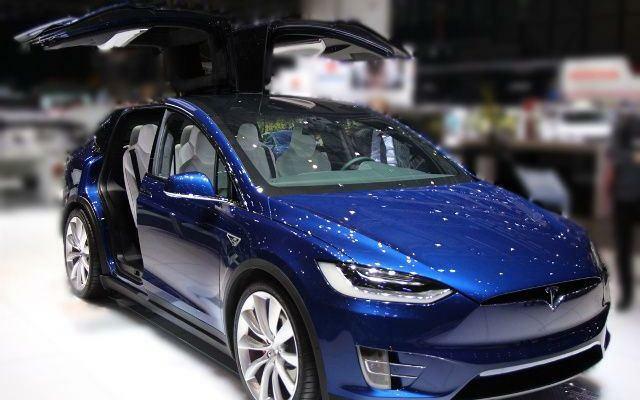 Sleek, modern and high-tech on the inside, Model X has certainly piqued our interest. The manufacturers argue that it is also the fastest electric car in the world, as well as the most capable utility vehicles created thus far. Safety is Model X’s biggest trump card. Considering it packs floor-mounted battery meant to lower its gravity center, the risk of rolling is extremely low. Chevy Bolt may not benefit from Tesla’s technology, but it’s still an electric vehicle with great potential. In fact, rumor has it that the most is the most anticipated of the year. The model will be hitting the market pretty soon, and many buyers are excited to test it out especially because it comes at an affordable cost – on average, $30,000. The fully electric hatchback offers seating for 5 people, thus making it ideal for small families. The engine can handle a mileage of 200, and the quick charging (30 minutes for 90 miles) will surely appeal to potential customers. 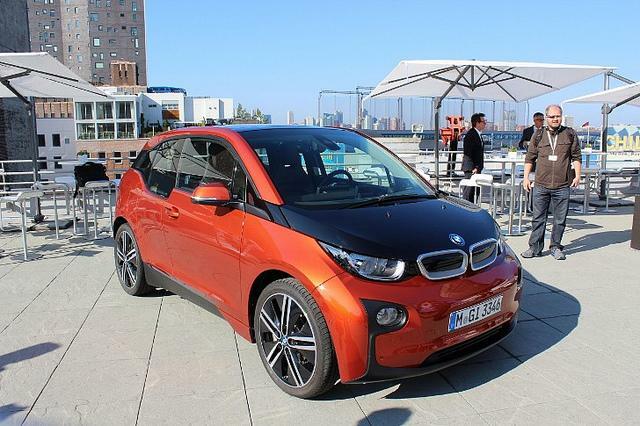 BMW’s i3 model is a remarkable electric hatchback. Featuring a rather unusual exterior built, we cannot help but wonder who thought of the design. The structure is made of carbon fiber, and as for the electric powertrain, the i3 packs legendary driving dynamics. Due to a low gravity center, the cars can easily go from 0 to 60mph in roughly 6.5 seconds. In terms of charging, this urban beauty doesn’t take longer than 3 hours to reach its full potential. Numerous other electric cars are preparing to enter the market. Some see promising, whereas others are just pure science fiction. We still hope for Porsche’s Mission E to emerge so that Tesla can have some real competition. By Christopher Austin and Design911.co.uk!